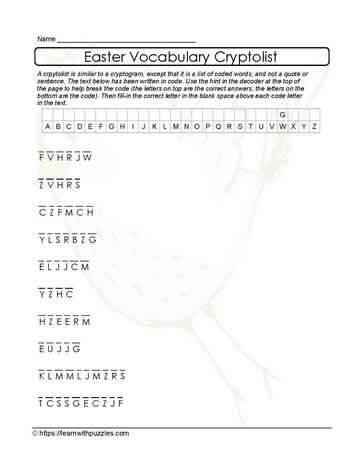 This cryptolist for Easter puzzle engages students' brains as they need to decipher the alphabet code used to encrypt this list of theme based words. This printable puzzle provides a hint to jump start the decoding of the puzzle. Record letter substitutions in the decoder at the top of the page.